Seems like Tanzanian celebrities practice more witchcraft than those seen on Nigerian movies. A few days ago Hamisa Mobetto was exposed for allegedly trying to bewitch Diamond Platnumz; hoping he would marry her. This was followed by audios said to belong to the models mum; who is allegedly heard speaking to a witch doctor. 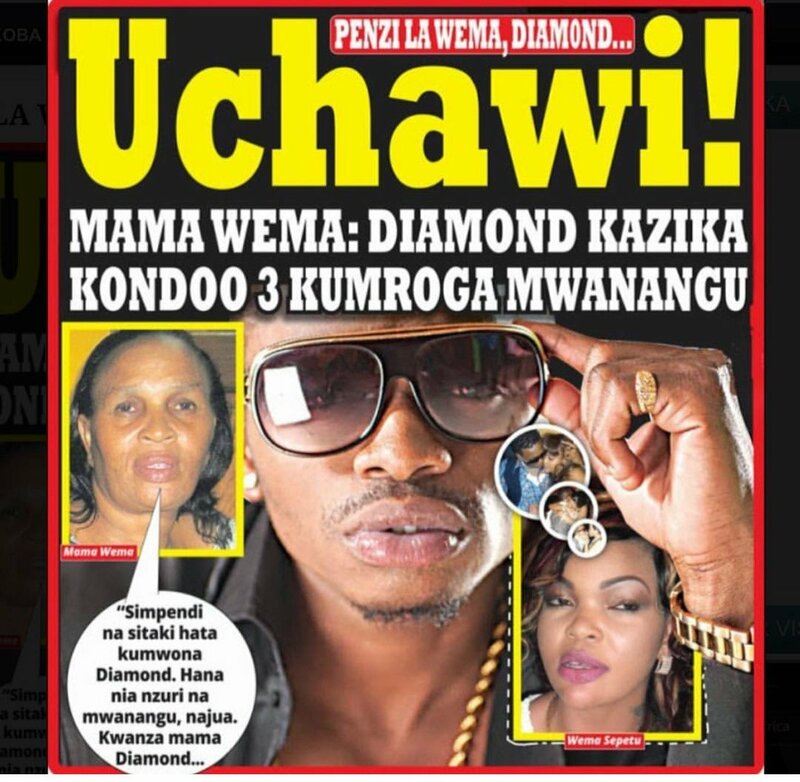 According to Diamond Platnumz who addressed the issue; he went on to call out his baby mama saying that he knew her evil ways. The singer went on to add that he has seen her send her Instagram die hard pages to insult other celebrities online. Well just like Hamisa, a few years ago Platnumz was also said to be using Juju on Wema Sepetu. This was revealed by Mama Wema who spoke to Global publishers about her daughter’s relationship. Since the internet never forgets; team Hamisa Mobetto have come out widely share the screenshots of the newspaper with the shocking headline. Although he never admitted it, another one of his lover’s (Penny) also came out to say the singer’s witch doctor stole her star. Apparently this is why she is no longer relevant in the entertainment industry. Mange Kimambi who is an activist went on to warn Wema saying she of all people spent time at ‘Waganga’ trying to make Zari leave Diamond.